Tom, is that really you? Venom actor Tom Hardy is nearly unrecognizable as infamous gangster Alphonse "Al" Capone in the first official photo from writer-director Josh Trank's impending biographical crime film, Fonzo. 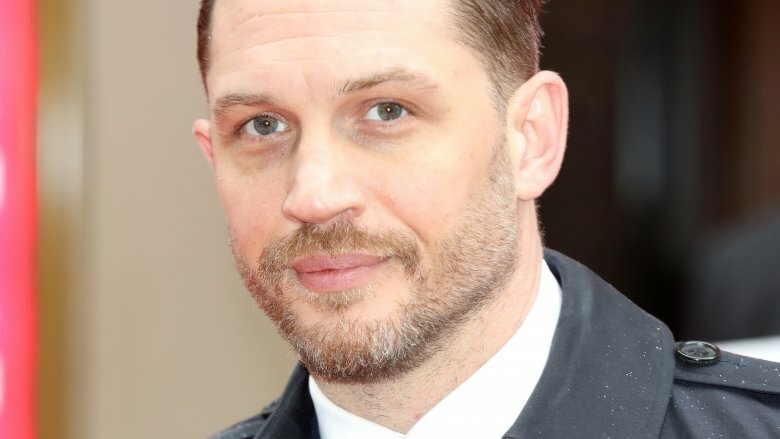 Crowned by Glamour UK as the sexiest man of 2018, Hardy appears rough, weary, and completely unlike himself under the thick makeup and prosthetics. And before anyone shouts that he doesn't look like the chubby-faced Capone either, let us remind you that Fonzo centers around an older Capone who battles dementia and syphilis and struggles to come to terms with the crimes he committed in his past. So in that case, Hardy's haggard appearance is pretty darn spot-on. We can almost hear him saying classic Capone lines like, "Some call it bootlegging. Some call it racketeering. I call it a business." This photo isn't technically the first-ever snap of Hardy from behind the scenes of the film, since the actor previously uploaded to his Instagram account two Fonzo-related pictures. Back in March, Hardy shared a high-contrast photo of himself with the caption, "Time for Al Cap" to announce that he would be filming Fonzo after he wrapped principal photography on Venom, the Sony film due out this October. A few weeks later, he posted a snap of himself in character — this time wearing a loose-fitting shirt and matching pants, sporting a buzz cut, and holding a fedora in his hands. This image is, however, the first official, director-released one of Hardy as Capone, so it's certainly worth getting excited about. Fonzo doesn't yet have a release date, so there's no telling when we'll get to see a poster, teaser, or full trailer for the film.